Hooray everyone, we are on a roll! Funds are needed for equipment for ever evolving volunteer missions and to continue to create a sustainable future for them. We have 2 teams of optometrist volunteers this year...Everest Base Camp and Annapurna Base Camp! 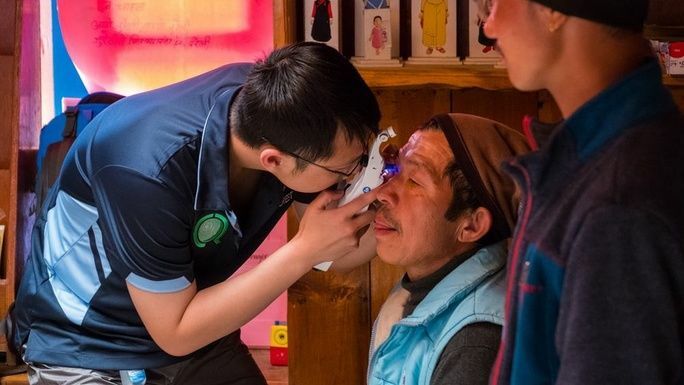 These volunteers are dedicating their precious time off to provide these much-needed eyecare to these remote villagers. Volunteers are doing a good thing! Please support them by making a donation! We aim to raise $2000 per volunteer! *Showers - Unlike the usual hotels, showers cost extra! Trust me, after a 8 hour trek, your mates will love you for it! *Snacks and Drinks - to keep their energy levels up in those high altitudes! *Beer - Who wouldn't want to enjoy a nice beer once the mission is all over? Follow us for our upcoming E4E volunteer missions for 2018!!! This fundraiser is part of the "Eyes4Everest EBC & ABC 2018" campaign. Together with other fundraisers, they've raised $1,400 so far!